May Allah swt give us strenght and taufiq to perform the recommended act of the months. "Allahuma barikna Wabalighna shahara Ramdhan............Allahuma Ameen ." The month of Ramadan Kareem is very dear to Allah. It is the most august of all months, pure, generous and merciful. Do not let its nights go waste in slumber, its days in careless omission or loss of remembrance of Allah. This Article send by Mustafa Mawjee mustafa@mawjee.org.uk On the occasion of the birth anniversary of our 12th Imam a.s. ~ an invaluable insight into his life, his ghaiba (occultation) and our duties towards the Imam of our time ~ in 10 parts Part 5 Laylatul Baraa'ah - The Night of Salvation For Any Ibadaat to reach its zenith we have to understand its significance & than perform it with body, heart, mind & soul & on this note I want share just a few pointers on the merit of SHAB E BARAAT. The 15th night of Shabaan is a very blessed night, Next to the “Night of Qadr. In our minds, everything we do that night is connected to the birth anniversary or the khushali of the 12th imam, but the true fact is that there are two very important yet very separate significances of this night and day… eide baraat is something very diff from the birth of the 12th imam, though both are celebrated on the same night. In actual fact, our twelfth Imam was born at dawn on the 15th of shaban. Many names have been given to this auspicious night. Laylatul Baraa'ah is in Persian meaning the NIGHT OF SALVATION & in urdu it is called Shabe Baraat, the NIGHT OF FREEDOM It is the night of seeking pardon and repenting to Almighty Allah and getting an escape from jahannam. It is also called Shabe Dua – spending the night in Prayers, Shabe Qabooliat when the duas are answered if done with sincerity and Shabe Barakah when the bounties and blessing are in plentiful. Every single deed on this night gets magnified & thawab multiplied due to the greatness of shabe baraat. Imam Ali (a.s.) relates: The 15th of Shabaan is a highly virtuous night and the believers should spend this night offering prayers and should observe fast on the following day. Our 8th Imam has said, about this night of 15th of Shaban: “It is the night for TAWBA and getting freedom from the fire of hell. Imam Ali (as) did not sleep on 3 nights: the night of shabe qadr, the night of eidul fitr, and the night of shabe baraat. He used to be in worship the whole night until dawn… This is a night in which not a single person supplicates to Allah except that his prayers are accepted. Nobody asks for a single thing on this night except that it will be given to him. No one asks Allah for forgiveness except that his sins are wiped out. No one turns in repentance to Allah except that He accepts their repentance. Whoever is deprived of the goodness of this night has definitely been deprived of something great." In order to make the most of this special night and ensure that all of his actions are performed properly, one must remove the material pleasures and enjoyments of this world from in front of his eyes and from his heart, he must think to himself that tonight is his last night on this Earth, tomorrow he shall die and thus, he will no longer have the opportunity to perform any more good deeds and that tomorrow the Day of Judgment will take place. The merit of this night starts from just before maghrib, starting with the dua to be recited just before sunset and GHUSL to be performed on that eve so that the burden of sins may be reduced and as if its your last ghusl. The most recommended amaal are (1) Tasbeeh of Astaghfar (2) Sura Yaseen 3 times with different Niyyah each: For long life, Prosperity. Safety from misfortune. Imam A;li (as) states: “I swear by the One who holds the life of ‘Ali in His hands there is not a single servant of Allah except that all the good and bad that will reach him in this year is divided up and handed out on the 15th of Sha‘ban and this good and bad will continue from the 15th of Sha‘ban until the next year on the same night. The servant who stays up this night and recites the Du‘a of Khidr will have his supplications answered." This dua popularly known as Dua e Kumayl. Ziarat of Imam Zamana Since it is the night of the birth of Imam Zamana(atfs) 4 Rakat namaz - after SURA E HAMD, SURAE IKHLAS is recited 100 times. namaze jafare tayyar – recommended by 8th Imam Any other duas/tasbeeh that keep us connected to our CREATOR. ARIZA: Towards the end of the night, Momineen and Mominaat usually present their ARIZA containing their griefs, worries and desires to the last Imam Mohammad Mehdi(a.s.) because it is the birth anniversary of the 12th imam and we use him as a wasila to reach A.H. In Islam. Both the night and the day carries emphasis, therefore the day of 15th Shabaan is a doubly blessed day for it is also the day of the birth of the last hujjat of Allah, in which prayers and also supplications and the ziyarat to Imam Husein (A.S.) has been recommended. Whilst the destiny is written on shabe baraat it is sealed on shabe Qadr. Allah (swt) in HIS MERCY and Rahma is giving us these awakening moments – a few more days to bring about the necessary changes within us. Let us pray together therefore, in the words of the dua that we recite 7 times at sunset - ‘If You have written my name in the list of good people then, I thank you, but if You have written my name in the list of bad people, then please remove it because You are the only one who can remove it from there.’ O Allah if Thou has forgiven us during the previous days of Shaban, then please be merciful to us in the days now follow. And that may He grant us the tawfeeq to perform the aamaals in the correct manner, this is also a night of eid for our marhumeen so let us not forget to remember and pray for them and we forgive and remember one another in our duas. Maxim No. 1 On His Own Description I am Mahdi; I am Qaem (the upriser); I am the one who will establish justice on the earth as it has been filled with injustice. Maxim No. 2 On His Own Description I am the one supported by God on earth; I am the one who shall take revenge on His enemies. Maxim No. 3 On the Description of God's Proofs God has kept them away from sins, untouched by flaws, purified of corruption and immune to mistakes. God has designated them as the guardians of His Knowledge, trustees of His Wisdom, confidant of His Secrets and supported them with logic. Maxim No. 4 On the Fact that God Is With Them God is with us and His Being makes us free from want. Truth is with us and we do not fear if the people were to turn their back on us. Maxim No. 5 On Their Righteousness And they should know that truth is with us and near us, and those who claim the same are dishonest. Except for the misled and those who lead others astray, no one makes such a claim other than us. Maxim No. 6 On Their Being God's Creation We are the Lord's Creation and others were later remade in our image. Maxim No. 7 On Their Hearts Being the Focus of God's Will Our hearts bear God's Will. When He Wills, we also will the same. Maxim No. 8 On Affairs Entrusted to Them Fear God, surrender to us and leave the affairs to us. It is for us to take you away from the spring satiated, as you were taken to the spring by us and do not pursue that which have been concealed from you. Maxim No. 9 On Not Going Astray Do not go astray from the right path and strengthen your move on this path based on established traditions by befriending us. Maxim No. 10 On Seeking Enlightenment From Others Seeking enlightenment from other than the prophet's Household (AS) is akin to denying us. Maxim No. 11 On Those Who Do Injustice to Imam Mahdi (AS) Those who do injustice to me are among the oppressors and subject to God's Curse, because the Almighty says: "Verily God's curse is upon oppressors." Maxim No. 12 On Those Disliked by Imam Mahdi (AS) The Lord, His angels, prophets and saints dislike those who are disliked by me. Maxim No. 13 On Those Who Deny Imam Mahdi (AS) There is no kinship between God and others, and those who deny me are not with me. Maxim No. 14 On Those Who Hurt Imam Mahdi (AS) Only the ignorant and unwise Shiites whose piety is weaker than the wings of a fly hurt me. Maxim No. 15 On Those who Seize His Belongings A fire blazes in the hearts of those who unjustly confiscate our belongings and will soon be thrown by their face into that fire. Maxim No. 16 On Reasons for Taking Khums I will not accept your offers but only if you become pure. Maxim No. 17 On the Reason Behind His Occultation Neither my forefathers swore allegiance to the seditious, nor will I at the time of my reappearance. Maxim No. 18 On the Benefit of His Occultation Benefiting from me during my occultation is like benefiting from the sun when it is covered in cloud. Maxim No. 19 On Benefiting From Imam Mahdi (AS) During Occultation I provide the people on the earth with safety and security just as the stars do for those in heavens. Maxim No. 20 On Benefiting From Imam Mahdi (AS) During Occultation The Lord, through me, keeps misfortunes away from my household and my Shiite followers. Maxim No. 21 On Referring to Narrators of Traditions in His Occultation In case of new events, refer to narrators of my traditions because they are my proof to you as I am the sign of the Lord's proof to them. Maxim No. 22 On Those Who Claim to Have Seen Imam Mahdi (AS) Those who claim to have seen me before the appearance of Sufyani and the call from the sky are liars and accusers. Maxim No. 23 On Being Aware of Shiite Followers I am aware of your situation and nothing remains hidden from me. Maxim No. 24 On Giving Considerations to His Shiite Followers I have not neglected or forgotten you because if so, you would have been long plagued by endless misfortunes and destroyed by your enemies. Maxim No. 25 On Reappearance Depending on God’s Will My reappearance depends on the Lord’s Will and this will take place after a long time, darkening of hearts and prevalence of injustice on the earth. Maxim No. 26 On Not Determining the Time of Reappearance My reappearance depends on the Lord's Will and those who falsely determine a time are liars. Maxim No. 27 On Reappearance Marking the Prevalence of Truth Upon the Lord's permission, truth will prevail and falsehood will be defeated. Maxim No. 28 On Leaving the Time of Reappearance to the Lord Do not ask of things that do not benefit you and do not trouble yourself to find something that has not been asked of you. Maxim No. 29 On Duties of Muslims in the Era of Occultation All of you should try to befriend us and keep away from things disliked and rejected by us, for our order will come without notice when there is no time for repentance and regret will not save you from our retribution. Maxim No. 30 On the Reason for His Delayed Reappearance If my Shiite followers--may god reward them for their obedience--were to unite to fulfill their pledge, our meeting with them would not have been delayed and they would have met me sooner--a meeting based on their awareness and sincerity toward us. Maxim No. 31 On the Reason for Being Deprived of Meeting Him Nothing keeps us away from them, except acts disliked and disapproved by me. Maxim No. 32 On Praying for His Reappearance Pray for my reappearance, as their victory depends on it. Maxim No. 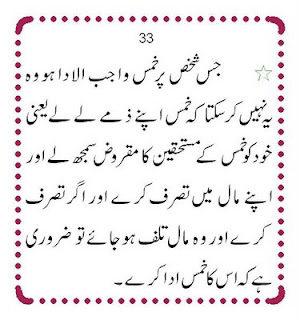 33 On Keeping Away From Sins The end result--with the admirable intervention of the Lord--will be auspicious as long as Shiites keep away from sins. Maxim No. 34 On the Earth Being Full of Divine Signs Verily the earth will not remain devoid of divine signs, whether evident or concealed. Maxim No. 35 On the Victory of Truth Over Falsehood God is averse to keeping the truth incomplete and not destroying falsehood. Maxim No. 36 On the Lord's Irrepressible Power The Lord's power cannot be overwhelmed, His Will is irrepressible and nothing will hinder His Victory. Maxim No. 37 On Seeking Refuge in God I take refuge in God from blindness after illumination, from deviation after guidance and from destructive conduct and annihilating seditions. Maxim No. 38 On the Purposefulness of Creation Verily God has not created mankind in vain and did not left them to wander aimlessly. Maxim No. 39 On Those Who Appeal for Guidance If you are in search of guidance you shall be guided, and if you seek you shall find. Maxim No. 40 On the Virtues of Prayers Nothing disgraces Satan like prayers, so pray and disgrace Satan. Rabeeul Anaam Fi Adeea-e-Khairil Anaam A Tear for the Beloved Author Abdul Hussain Taalei Translator Dr Shabeeb Rizvi A) The Meaning of Awaiting: It is an innate behaviour from which emanates the preparation for whom we are Awaiting. Thus, as the intensity of the Awaiting increases, the measure of preparation also is on the rise. For example, when we wait for a difficult examination that we fear, we will ready ourselves for discussions and debates in better ways and means for we do not know as to what question will be asked and in what manner. Therefore, this Awaiting should be done in an even better manner because we are waiting for none other than our master, Saahebuz Zamaan (a.t.f.s.). It is obligatory on us that we acquaint ourselves with the characteristics of our master, the Awaited One, from the transmitted traditions related from his infallible ancestors. Consequently, we will be certain that our Imam (a.s.) is the twelfth Imam, he is still alive from the day of his birth and will continue to be till he reappears. He will infuse a new life into the Shariah of the seal of the Prophets, Hazrat Muhammad Mustafa (s.a.w.a. ), through the establishment of justice and uprooting evil. It is quite possible that this affair is brought to its completion in this very year or perhaps, may be postponed to another year. It all depends on the deeds of the Shias, as he (a.t.f.s.) has expressed his desire in one tauqee’, “And had our Shias – may Allah grant them grace for His obedience – been united with their hearts in the fulfilment of the covenant imposed on them, they would not have been deprived of the blessing of our meeting. And indeed, they would have the good fortune of seeing us with true recognition and their verification concerning us. Then nothing conceals us from them except (those news) that reach unto us and which we dislike and don’t expect from them.” In another tauqee’ to Shaykh Mufeed (a.r. ), he (a.t.f.s.) wrote, “Then each one of you should act in a way that brings you closer to our love and refrain from all those actions that bring you nearer to our dislike and anger. For surely, our affair (reappearance) will be sudden and unexpected, when repentance will be of no benefit nor will regret over misdeeds save him from our chastisement.” The Essentials of Physical Awaiting: Bodily Awaiting is an extension of awaiting from the heart. The one who waits perennially strives to keep away from sins and disobedience (of Allah). Hence, apart from always endeavoring to create a safe environment for his soul, he also tries ways and means to improve the others. Abu Baseer narrates from Imam-e-Sadeq (a.s.), “Whoever desires to be among the companions of the Qaem (a.s.), then he should await, act with piety and good ethics while he is in a state of Awaiting. So if he dies and the Qaem rises after him (i.e. his death), his reward will be like the one who has found the time of the Qaem. Then strive and await, congratulations to you, O nation on whom is mercy.” Here, we would like to mention a few traits that ought to be present in the one who awaits: a) He should be aggrieved and distressed on account of his separation. b) He should cry, make others cry and appear to cry for his separation. c) He should always remember the Imam (a.t.f.s.). d) He should distance himself from the people of this world and sinners. 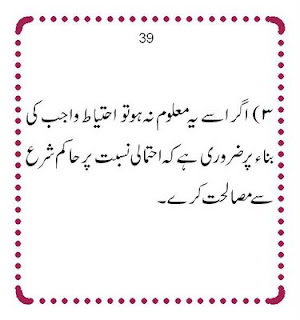 e) He should pray to Allah the Almighty for the safety of Imam-e-Zamaan (a.t.f.s.) and his early reappearance, mostly in those times when supplications are accepted. f) As the duration of his occultation increases, his craving for his Imam (a.t.f.s.) should increase by the day. g) Encouraging and exhorting the believers to pray for the reappearance of Imam-e-Zamaan (a.t.f.s.). 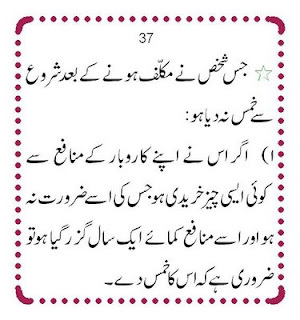 h) To be prepared every moment and every second for his reappearance. 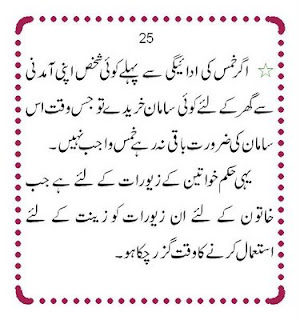 B) The Excellence of Awaiting: The Holy Prophet (s.a.w.a.) said, “The best worship is to await the reappearance.” Ameerul Momineen Ali Ibn Abi Taalib (a.s.) said, “The one who awaits our affair is like the one who is soaked in his blood in the way of Allah.” And in yet another tradition, Imam Sadeq (a.s.) gives glad tidings, “One who dies among you while he is awaiting for this affair (i.e. reappearance of al-Mahdi), is like the one who is with the Qaem in his tent.” The narrator says that Imam Sadeq (a.s.) was quite for a moment and then said, “Nay! He is like the one who has fought alongside the Qaem with his sword.” Then he (a.s.) said, “Nay! By Allah! He is like the one who has attained martyrdom in front of the Holy Prophet (s.a.w.a. ).” C) Necessity of Awaiting: It is narrated in ‘Kamaaluddin’ from Abdul Azeem al-Hasani (a.r.) that he said, “I went to Imam Muhammad Taqi (a.s.) to ask him about the Qaem, whether he is Mahdi or other than him? Before I could ask, he (a.s.) told me, ‘O Abal Qasim! Surely the Qaem from us, he is the Mahdi. It is necessary to wait (for his reappearance) during his occultation, to obey him when he reappears and he is my third descendant.’” From whatever was discussed, we gather that all the Prophets (a.s.) and successors (a.s.) from Hazrat Adam (a.s.) to the last among them (s.a.w.a.) 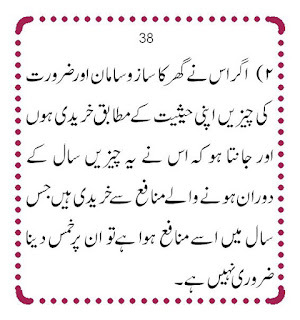 waited for the reappearance of Hazrat Saahebuz Zamaan (a.t.f.s.). Lastly, the Holy Quran orders, “Then wait all of you, for surely I am with you among those who wait.” --------------------------------------------------------------------------------  Al-Ehtejaaj, Shaykh Tabarsi, vol. 2, p. 599, the tauqee’ to Shaykh Mufeed. Ibid., p. 49. 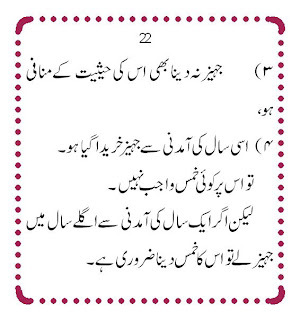 Behaarul Anwaar, vol. 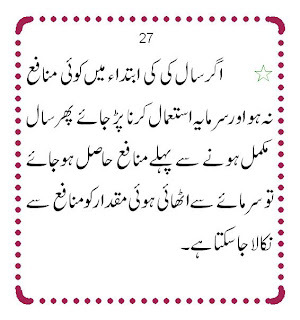 52, p. 140, narrating from al-Ghaibah of No’mani. Ibid., vol. 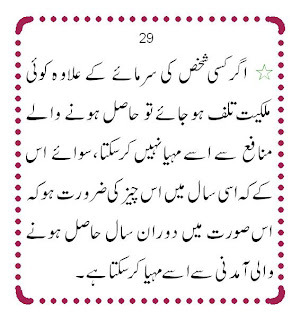 52, p. 125, narrating from Kamaaluddin of Shaykh Saduq (a.r.). Ibid., vol. 10, p. 104, narrating from Khesaal of Shaykh Saduq (a.r.). Ibid., vol. 52, p. 126, narrating from Mahaasen of Barqi (a.r.). Kamaaluddin, vol.2, p.377, ch.36. 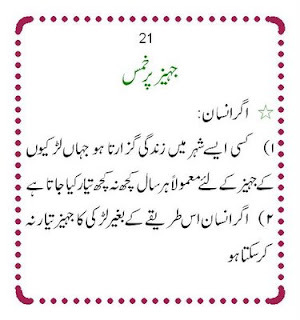 Yunus: 102. ARE you one of those people who rarely touch the Qur'an? Or do you read daily, but don't find it is having the impact on you that it should? Whatever the case may be, these are some simple tips that can help you connect with the Qur'an. 1. Before you touch it, check your heart. The key to really benefiting from the Qur'an is to check your heart first, before you even touch Allah's Book. Ask yourself, honestly, why you are reading it. Is it to just get some information and to let it drift away from you later? Remember that the Prophet Muhammad (peace be upon him) was described by his wife as a "walking Qur'an": in other words, he didn't just read and recite the Qur'an, he lived it. 2. Do your Wudu (ablution). Doing your Wudu is good physical and mental preparation to remind you that you're not reading just another book. You are about to interact with God, so being clean should be a priority when communicating with Him. 3. Read at least 5 minutes everyday. Too often, we think we should read Qur'an for at least one whole hour. If you aren't in the habit of reading regularly, this is too much. Start off with just five minutes daily. If you took care of step one, Insha Allah (God willing), you will notice that those five minutes will become 10, then half an hour, then an hour, and maybe even more! 4. Make sure you understand what you've read. Five minutes of reading the Qur'an in Arabic is good, but you need to understand what you're reading. Make sure you have a good translation of the Qur'an in the language you understand best. Always try to read the translation of what you've read that day. 5. Remember, the Qur'an is more interactive than a CD. In an age of "interactive" CD-Roms and computer programs, a number of people think books are passive and boring. But the Qur'an is not like that. Remember that when you read the Qur'an, you are interacting with Allah. He is talking to you, so pay attention. 6. Don't just read; listen too. There are now many audio cassettes and CDs of the Qur'an, a number of them with translations as well. This is great to put on your walkman or your car's CD or stereo as you drive to and from work. Use this in addition to your daily Qur'an reading, not as a replacement for it. 7. Make Dua (supplication) . Ask Allah to guide you when you read the Qur'an. Your aim is to sincerely, for the love of Allah, interact with Him by reading, understanding and applying His blessed words. Making Dua to Allah for help and guidance will be your best tool for doing this. The House of ALLAH in Makkah. The Kaa'ba is covered by a black cloth known as 'Kiswa', which is produced & changed every year. Special factory designed for the making of Kiswa in Makkah. It costs approx. SR 17million.The cloth is made of 670kgs of silver dyed black, about 120kgs of pure gold & 50 kgs of silver used in writing the Qur'anic verses over the cloth. The total area of the cloth is 658sqr meter .